Sony's PlayStation brand is known for video games, but with this year's PlayStation Emerging Filmmakers Program, the company is branching out with the help of a couple of Philly-based filmmakers. Brother and sister duo Mandy and Gordon Freas, 26 and 27 respectively, of Lansdale, made it to the final round of the program with the pilot Hyperreal. A PlayStation effort in collaboration with Ideas United's We Make collective, the initiative hopes to harness "the creativity and diverse talent of budding filmmakers." The Freases' pilot was one of five works created with PlayStation as part of the program. It was chosen after several rounds of pitching to Sony executives, where the duo, who are based out of Conshohocken, presented their idea. All five pilots — filmed in Atlanta — were made available for streaming via the PlayStation store on Wednesday. There are currently no plans to turn any of the pilots into series, a Sony representative says. "We both play PlayStation, so it's great to see them supporting indie games and then extend that to filmmakers," Mandy says. "Especially in a time when content is so prevalent, and there's so many different outlets for it. It's fantastic to see them getting involved on an emerging level." 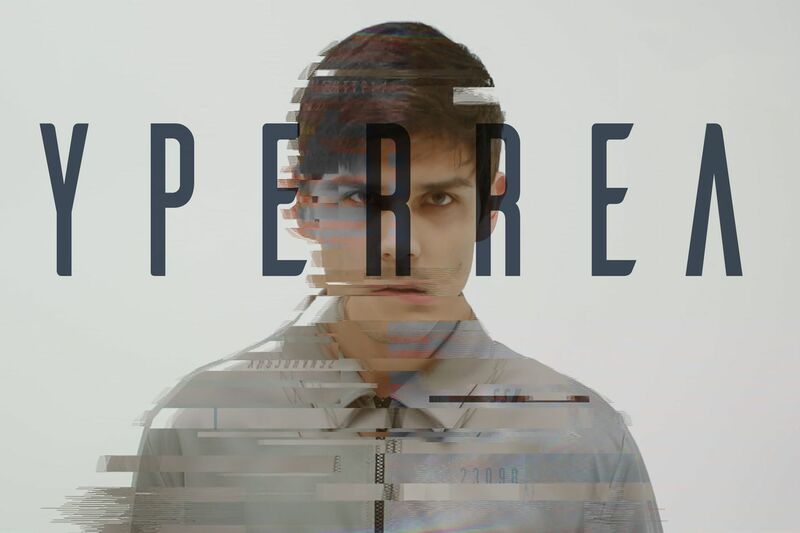 Helmed by EverLife short director Steven Wilson, Hyperreal follows a young man who has been diagnosed with multiple sclerosis as he signs up for a secretive, experimental treatment based in virtual reality that "makes him an unwitting pawn in a madman's dark scheme." A look at virtual reality from more of a medical perspective than an entertainment one, the idea for the series came about long before popular shows like Westworld and Black Mirror, Gordon says. "I loved the idea of thinking about virtual reality in terms of identity instead of as a video game — more of as a method for exploring yourself," Gordon says. "If you could take a person and then strip everything away from them, and they get to build themselves from scratch, what would that be like?" A heady topic, sure, but this isn't the Freases first film project together. The pair have long been creating video projects together, and today operate local video production service Clementine Pictures. Mostly known for their advertising work, the Freases have also produced content for Billboard, as well as a few music videos. It all started, however, with a stop-motion tribute to Thomas the Tank Engine when the Freases were 8 or 9 years old. The pair worked together to create the video to impress their younger brother, using — what else? — a Sony camcorder. Both Mandy and Gordon pursued film during their time at Germantown Academy, where they graduated in 2009 and 2011, respectively. Mandy took film classes while at GA, won the school's film award her senior year, and studied for a summer in Paris at La Fémis as part of a program with the New York Film Academy. The pair developed a version of the working relationship; Gordon writes and directs, while Mandy produces. Both, however, work to develop story ideas, like Hyperreal. Postcollege, the pair began working on ads and other projects together under their Clementine Pictures banner. They became involved with the PlayStation Emerging Filmmakers Program last summer, which they say has opened doors professionally already, even though Hyperreal has not yet been ordered to series. "We probably wouldn't even be where we are if it wasn't for PlayStation," she says. Currently, the Freases are working on their first feature film — a development that Gordon says connects back directly to their duo's work with PlayStation. Titled Bluebird Day, the film follows a backpacker on the Appalachian Trail who finds a group of people burying a body. The incident prompts a struggle for survival as the backpacker attempts to escape the group and make it back to civilization. The feature film project does not have a release date, as the Freases are "still signing deals and stuff," as Gordon says. Hyperreal, however, is available to view now via the PlayStation store and PlayStation Vue. "This Sony opportunity has shifted us more into commercial entertainment work instead of just freelancing," Gordon says. "We are really just getting started."